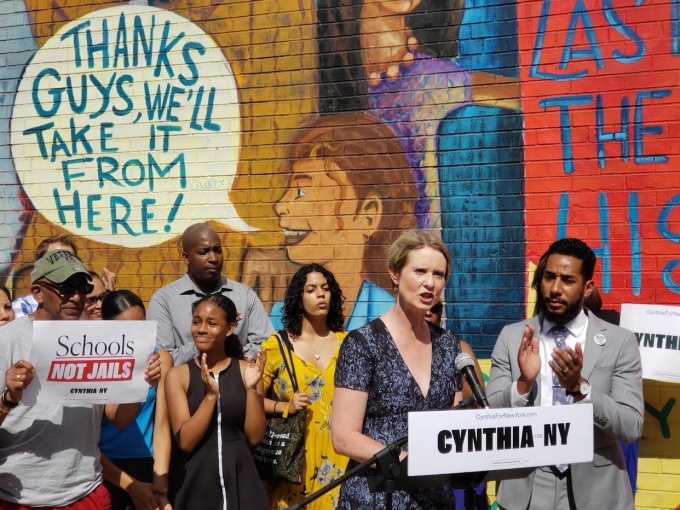 Council Member Antonio Reynoso, who represents Williamsburg and parts of Bushwick, announced his endorsement of Cynthia Nixon in her bid to be the next governor of New York this morning. The two made a joint announcement in front of J.H.S. John D. Wells Middle School in Williamsburg, where Reynoso, an alumnus of the school, said that he supported Nixon given her work in education advocacy. Part of Nixon’s campaign includes dedicated funding to create 500 “community schools”, like J.H.S. 50, which act as neighborhood hubs that provide academic instruction and social services to families and students. “As a graduate of J.H.S. 50, Council Member Reynoso understands the importance of investing in our schools and children,” Nixon said. The former actress, who announced her run for New York governor in March, said the state has the second highest inequality in funding between rich and poor school districts in the nation. The gap, she added, grew significantly under Cuomo. “We must commit to fully funding our schools, and providing bold solutions that harness the power of the community,” she said. via Council Member Antonio Reynoso on Twitter. Also part of Nixon’s campaign is ending what she calls the schools to jail pipeline. Children, she says, are coming into closer contact with the law at young ages in school, which, when coupled with low-funding, create an environment that funnels students into prisons. “I am honored to receive the endorsement of Antonio today and look forward to fighting alongside him for schools not jails,” she said. 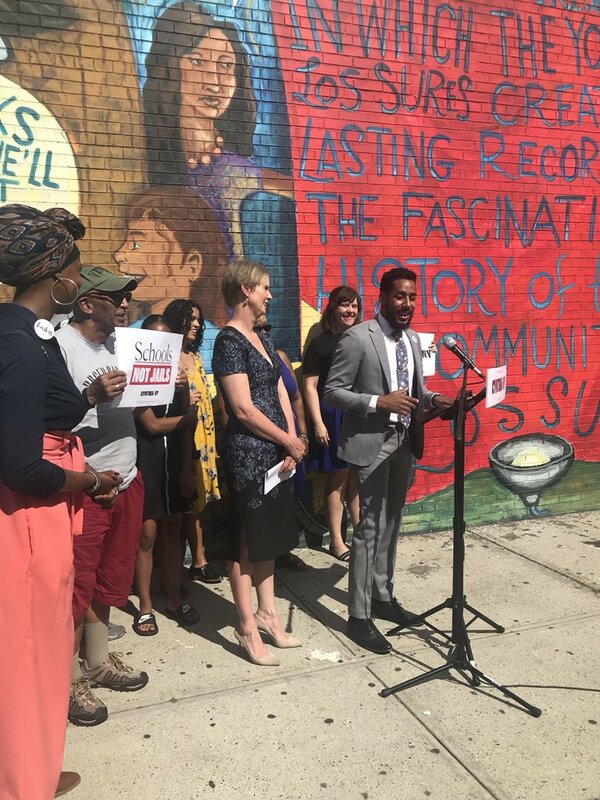 Reynoso’s endorsement marks the third from a City Council Member, with Council Member Jimmy Van Bramer in Queens announcing his support for her last week. Council Member Carlos Menchaca, who represents Red Hook and Sunset Park, was the first City Council Member to endorse Nixon. Nixon also supported and received an endorsement from Alexandria Ocasio-Cortez, a progressive candidate running to represent New York’s 14th Congressional district, and who unseated powerful Rep. Joe Crowley in a stunning victory last week. I am a progressive but gender politics are being played here by Ms. Nixon. The cartoon in the background ie thanks guys is as ugly as signs in the old south saying for whites only. Hillary played this card and it is one of the reasons why we elected the ego maniac demagogue Trump. The sign may play well in a few super liberal districts but if you want to tick off man and many women, and keep the Democratic Party a minority party outside super liberal districts nominate Nixon/Hillary type candidates outside these districts.